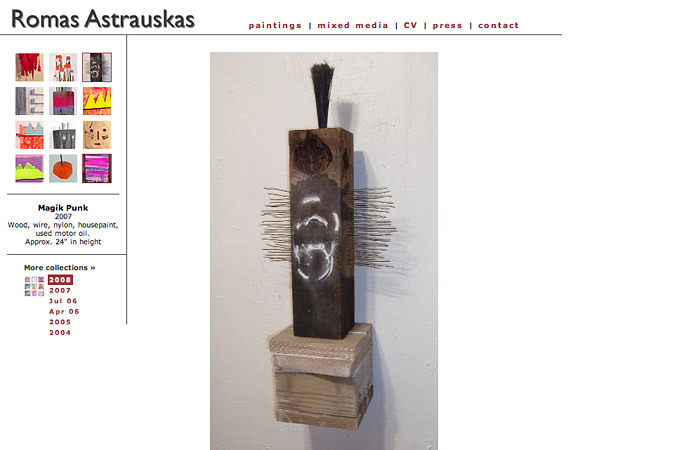 Painter, sculptor and mixed media artist Romas Astrauskas needed a minimalist portfolio website with a gallery-like background to permit subtle shades and brushwork to stand out. 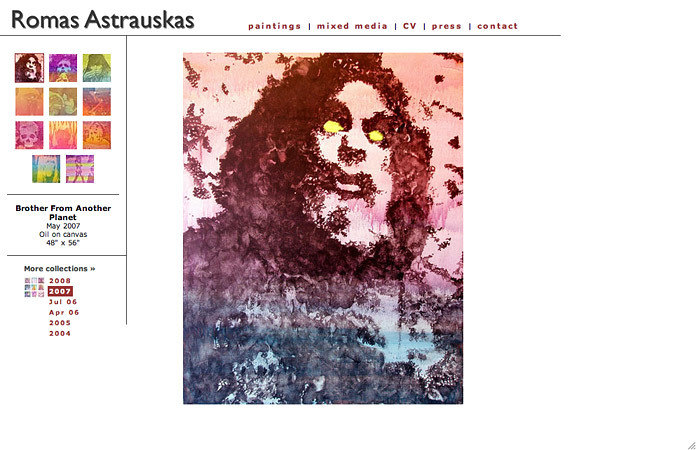 Romas Astrauskas' website is a clean simple layout on a neutral white background. 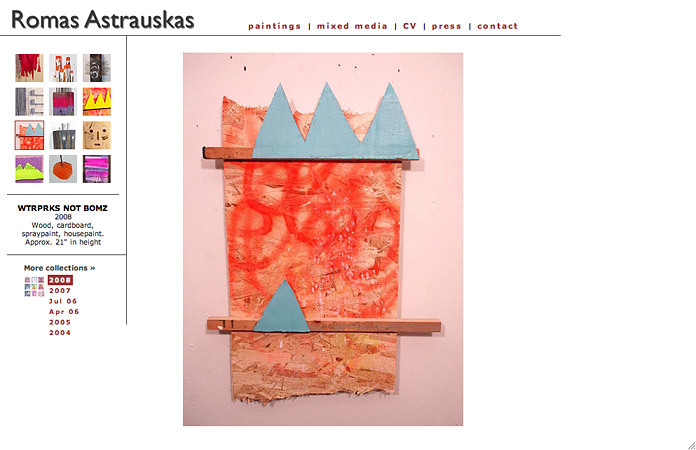 The site showcases the paintings and artworks of the artist in an austere, gallery-like setting. Navigation is supplied in part by colourful, contextual thumbnails that offer a preview of the work, but without distracting from the principal viewing area of the featured artwork. Placed on an austere white background, vibrantly coloured paintings pop off the screen, while works with very subtle shading and tonal features stand out as well.